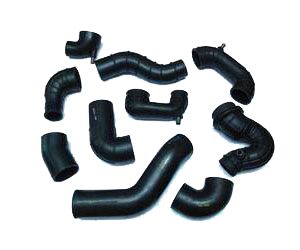 Moulded Hoses Manufacturer, Moulded Hoses Manufacturer in Pune. One of our strengths lies in the supply of moulded rubber hoses designed to withstand pressure and vacuum loads. They can be used with various media, including air, oil and water. Complicated installation configurations create a need for bend radii that can only be achieved with moulded hoses.